Intercity Transit will operate regular weekday service Monday, Jan. 2, 2017. Check connecting transit systems. Service ends early Christmas Eve, Saturday, December 24. Please see the link above for last departure times. If you have questions, contact Customer Service at 360-786-1881. We will not operate local bus, Express, Dial-A-Lift or Village Van services on Christmas Day, Sunday, December 25, or New Year's Day, Sunday, January 1. Nightline will not operate over holiday weekends: December 23 - 25, December 30 - January 1, and January 6-8. Route 41 departures at :15 and :45 past the hour will not operate during Evaluation Week and Winter Break. 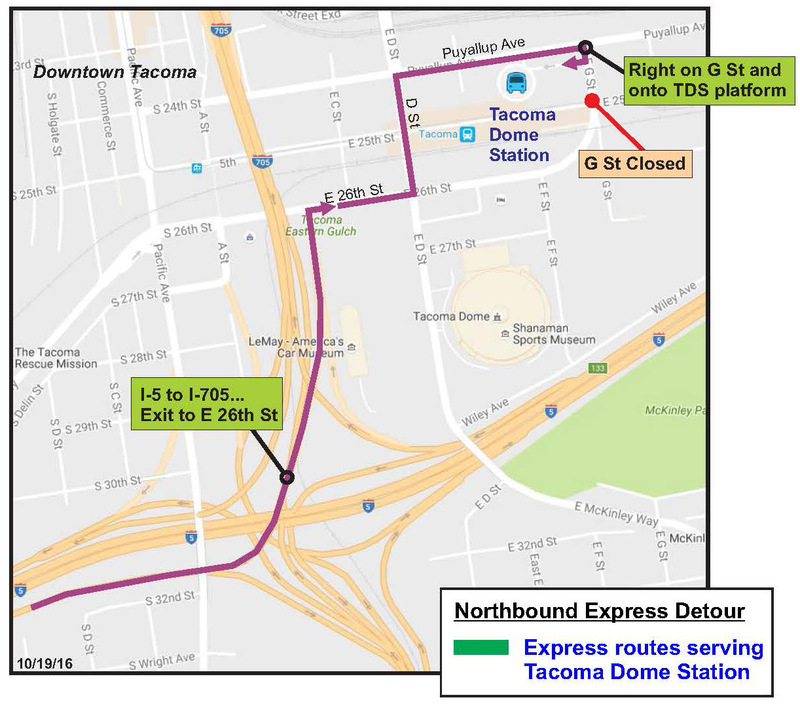 Due to new I-5 construction detours, northbound Express routes going to the Tacoma Dome Station (TDS) will need to detour (see map). 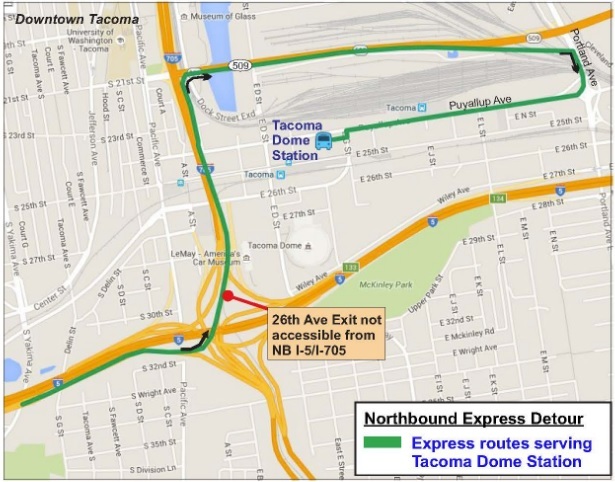 Due to recent WSDOT/I-5-SR 16 construction and lane reconfigurations around Tacoma, all southbound Express routes from downtown Tacoma will now use the Portland Ave.